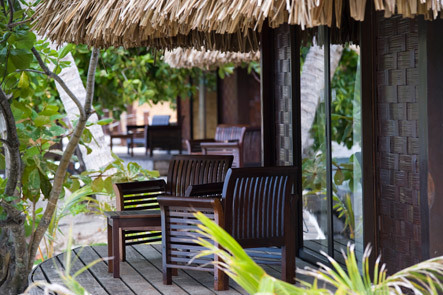 Our 13 beach bungalows are spacious, located on the seashore and well furnished. 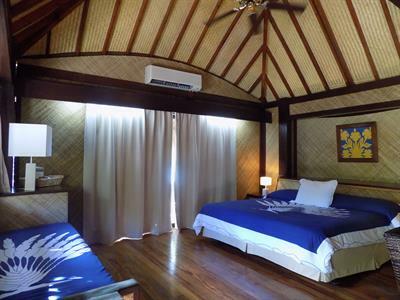 Natural materials such as pandanus for roofs, woven bamboo and rare and exotic woods are used to complement the style Polynesian-based shells, pearls and wood, thus creating a warm atmosphere. 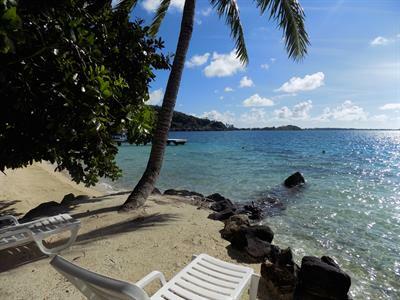 Directly on the beach, the transparent beauty of the lagoon is at your feet. Upon arrival, you will find the large bed decorated with fragrant flowers. 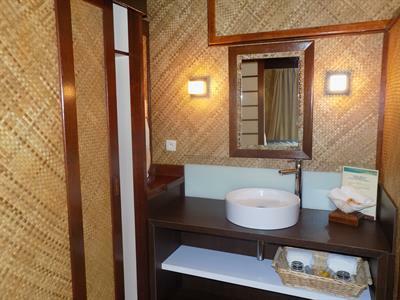 Other features in the bungalows: needed to make coffee / tea, desk and chair, ceiling fan above the bed, TV, international direct dial telephone, safe, mini-bar, wifi internet access and plenty of space to accommodate your luggage. 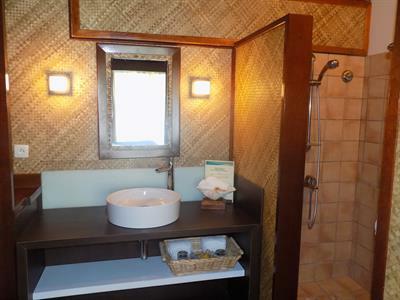 You will enjoy the very spacious bathroom with a comfortable shower and separate toilet. There is a toilet articles (shampoo, conditioner, soap), fluffy towels and hair dryer. 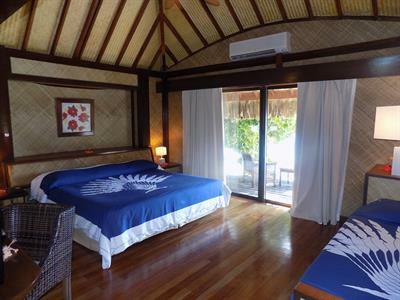 In addition to the fan, all the bungalows have air conditioning and cleaning is done every day. Beach Bungalows are also equipped with an additional sofa bed which allows you to have more space to relax or to accommodate a third person. Sorry, rates and availability information is not accessible for selected dates. Please contact us by email: booking@bora.hotelmaitai.com with your enquiry. Thank you.